My post begins in Las Vegas, 2014. My friend and I made the decision to go on a “Las Vegas Lights Night Tour” of the city. It was a fun tour filled with anecdotal stories, suggestions on places to visit post-tour, and a little bit of history. Throughout the night I remember thinking the guide was passionate and obviously knew their city. Jump to the end of the tour. We decided to check out some of their suggestions only to find that the information they provided was either wrong or out of date. Automatically I started to question everything they said and just like that, my trust in them vanished. Later that year I visited the Museum of Fine Arts in Boston. I was lucky enough to see the beautiful pictorial quilt by Harriet Powers on display. Even better yet, I was able to join a short talk of the quilt by a member of staff. Similar to the guide in Las Vegas, my first instinct was to trust the information they were reciting. This wasn’t because I knew the dates they were saying were correct, but rather because they were confident and really tried to keep us all engaged. I wasn’t looking for the information already on the object label. Instead, I was hoping for a story or a narrative that gave life to the object. That is what the tour guide achieved and for that, I did trust them. On writing this post, I am beginning to see that I too easily trust people with an ID card who begin talking about things. On the other hand, I often find I’m not alone in going into these situations basically relying on what I am being told. If you type into Google tour guides + trust + Tripadvisor you will start to see what I mean. There are a lot of reviews that mention tour guides and how much knowledge they had, how engaging they were, and how they contributed to an individual’s knowledge of a place. 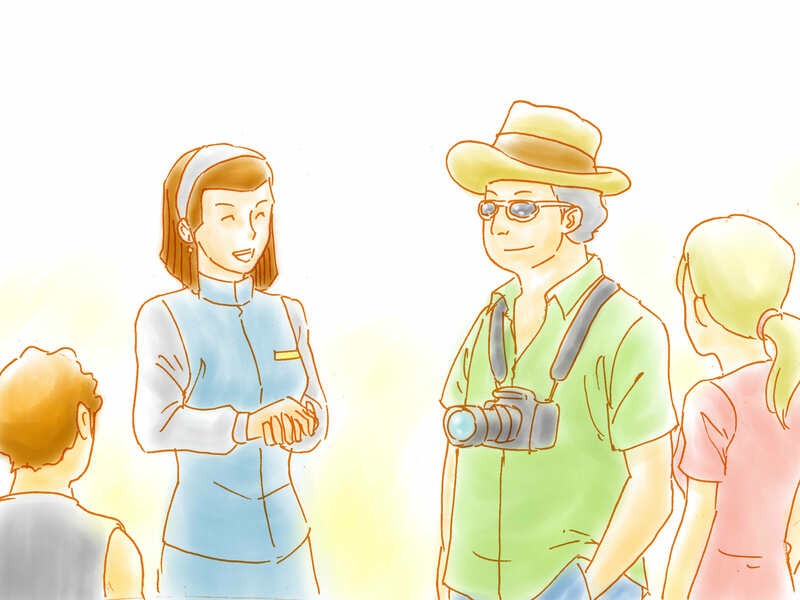 There are even studies out there that show people are apprehensive of becoming tour guides because they are worried they won’t be trusted (link). Until 2014, I was always a guest on a tour and never the guide. This all changed when I started taking Convict and World War II history tours in Brisbane. All of a sudden, people were listening to me and asking me questions. Before my first tour I had my head stuck in books reading everything and anything I could about the early colonial development of Brisbane and its evolution over time. It was through this that I made a little discovery of my own. Building trust is so much more than knowing the exact date of everything that happened. In fact, to me that would be impossible considering there can be a lack of evidence etc. I have been on so many tours where the guide has estimated dates or provided a time frame and this has never left me thinking they knew nothing. Going back to my discovery, I decided that if I was going to get a group of people to trust me, I had to be engaging and I had to capture and hold their attention from the first sentence to the last. In my mind, trust comes from balancing sharing the evidence available with reading the dynamics of a group. I learned very quickly in the role that if you want a group of people to stay with you and, dare I say it, even grow to trust you, you should deviate from a rigid script. There are, of course, so many problems that arise with issues of trust and tour guiding. I had two hours to communicate basically the entire history of Brisbane from convict settlement to modern day. On Cockatoo Island, I have even less time to communicate even more information. So then do people trust you’ve selected the most interesting stories or the most relevant “truths”? Your own agenda will ultimately play a huge role in how you deliver a tour. To build some trust, I make my biases clear from the beginning stating what I am going to focus on and how these particular stories work together to create a specific perspective. What I also tend to do is use the material evidence around me as evidence. Even then, it is a huge ask for people to trust what I say. So why do I care if people trust me or not when I’m guiding them around? The answer is simple – I want people to stay engaged. I love talking about history because I think it’s interesting and I want other people to think it’s interesting as well. The definition of trust encompasses reliability, truth, or ability. In other words, when you’re a tour guide there is so much more to gaining trust than simply knowing a heap of “facts”. It is a constantly challenging role that does test your ability to engage others and communicate history. Becoming a heritage guide is also, however, one of the best decisions I have ever made. It would be interesting to hear your thoughts in the comments. Have you been on a tour when you’ve “trusted” the guide? Why?